First day of release is the most important day for any developers to get maximum amount of download so that it could boost the ranking of the games in the appstore. When Fantasy Mage got picked up by TouchArcade couple of weeks ago, Olivier of KickMyGeek was the first one who asks about the promo code. 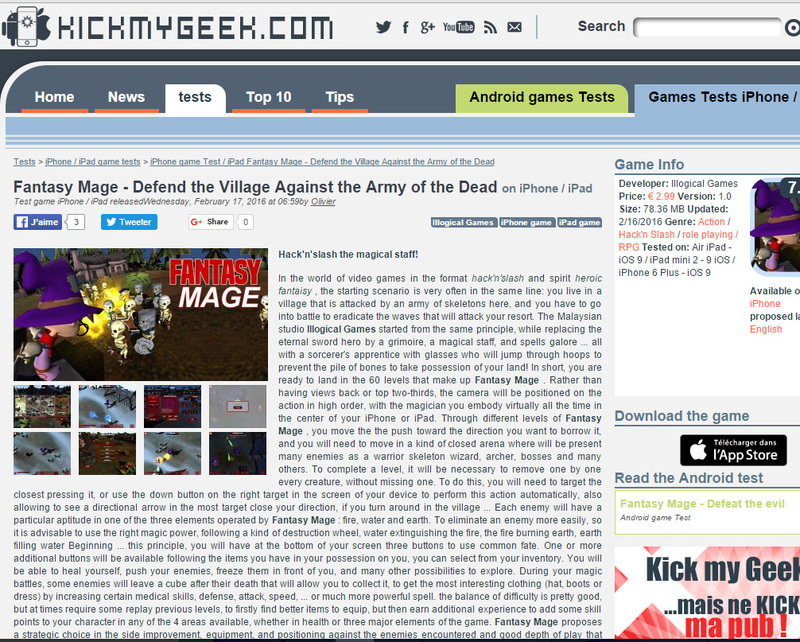 Olivier helps me boost my first day download with his review that he published on the same day that I released Fantasy Mage.